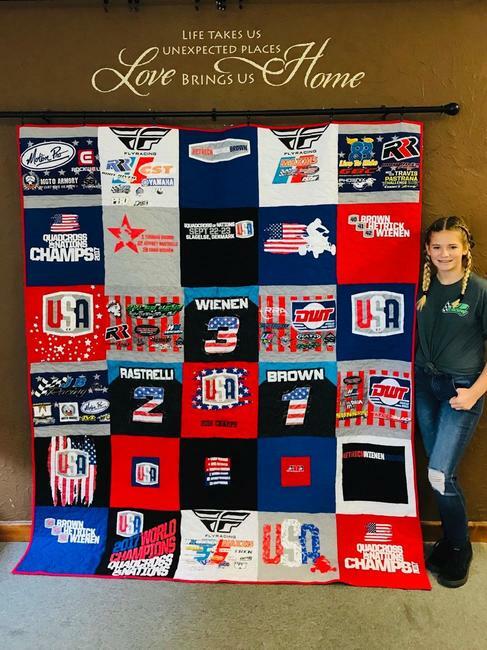 This Saturday, November 17 during the ATVMX Awards Celebration, India Trimble's Team USA ATVMX quilt will be auctioned off to benefit both the 88 Live to Ride and the Team USA's efforts to head to Germany for the 2019 Quadcross of Nations. If you're looking for a unique, one of a kind keepsake this is it. If you are not going to be in attendance but would like to place a bid on the quilt please email [email protected].